These patriotic wax luminaries are a great way to light up your outdoor 4th of July party (or even your Memorial Day weekend barbecue!). 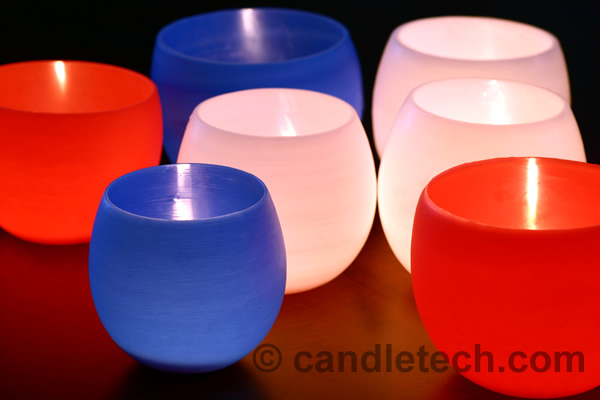 They are created the same way you make these chocolate bowls (that you could also make in patriotic colors using red, white, and red, white, and blue candy melts) if you use candy melts), but they use high melt paraffin wax instead. You can get the instructions to create the 4th of July Balloon Luminaries over at Candletch! 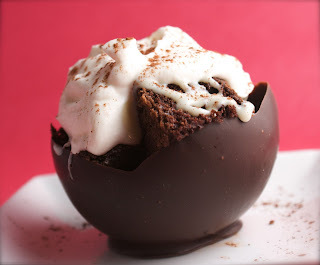 Now I am CRAVING CHOCOLATE...your chocolate bowl is making my mouth water!!! Hope your week is wonderful.